Order from Tivo or Amazon? If your thinking about purchasing a Tivo Mini, you might be wondering if there is any benefit to ordering it directly from Tivo.com, or should you order it from Amazon? I currently have 3 Tivo Mini’s in my setup and I have ordered two from Tivo and one from Amazon. The price point is the same (Tivo does offer free shipping for most current customers). If you have Amazon prime, you can get the Tivo Mini with 2-day shipping. 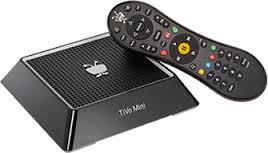 Ordering from the Tivo website may take a day or two longer, however the Tivo Mini does come pre-activated on your account, so it’s just plug in a go. Previous Post: Why won’t my LED bulbs dim all the way down?